Throughout this blog you will see many references to macrobiotic ideas, ingredients and dishes. While I don’t follow a macrobiotic diet 100% of the time, I am a believer in the philosophy and the healing power of foods. About a year ago, on the advice of my best friend (herein referred to as BFF), I decided to give macrobiotics a try to remedy some health disturbances. I sought the advice of a macrobiotic counselor to identify the culprits in my diet and made changes for better health, harmony and balance. 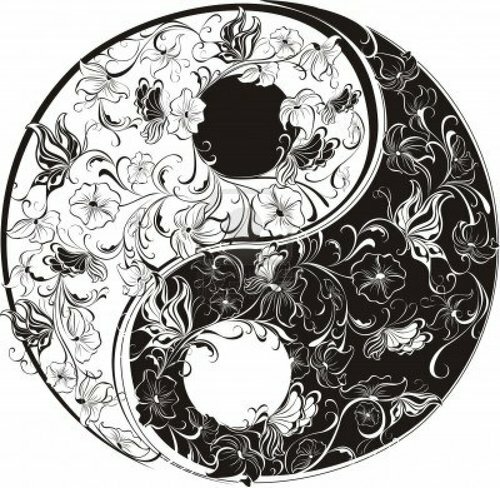 After a session with the macrobiotic counselor and an introductory course to macrobiotic cooking, I learned the theory of Yin Yang as it relates to food and discovered the negative affects that some foods have on the body and how they can give rise to or perpetuate certain health conditions. After all, we are what we eat. I had been a vegetarian/pescetarian for many years, but I was an avid cheese lover. Once I learned the negative affect that dairy, among other foods, had on my body, I decided to dive in head first and went completely vegan. For about 4 months, I followed a very strict vegan macrobiotic healing diet. This was essential to getting started and getting used to the ingredients and cooking methods and I saw immediate results. Within a short month my skin and hair improved, I lost weight (and added side benefit), and I felt better overall. Most importantly, my health disturbances started to improve and I learned how to adapt my diet based on my personal needs. It’s a work in progress, and I’m continuing to learn and discover ways to heal with food every day. Those initial 4 months were intense, as following a strict healing diet can be demanding, but it was well worth it. I’ve since added fish back into my diet for health reasons (a source of great internal debate for me), but I’ve given up dairy and sugar for life. I now aim to incorporate the macrobiotic principles I learned as much as possible when making food choices, but I try not to be too extreme about it. After all, macrobiotics is not a set of rules, but a set of guidelines that need to be adapted based on other factors, such as: physical and mental health condition, season, climate and lifestyle. On a final note, I will leave you with the Macrobiotic Guide’s description of the practice, followed by a list of my favourite macrobiotic resources for information and inspiration. Macrobiotics is an approach to physical and emotional wellness through consuming foods that are balanced energetically (between yin and yang) and nutritionally. It is typically a well-balanced diet with high fibre, low fat, lots of vegetables and grains, vegetable protein, and limited meat, with an emphasis on eating seasonal organic food. ← Brown Rice, a Pantry Staple!